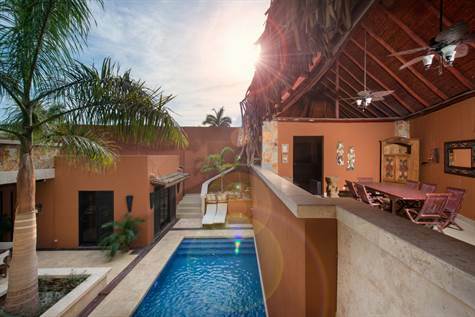 Bathrooms: 4 "+ half bath"
Oro del Sol 20 is a 3 bed villa, with a massive entertainment area. 12 person hot tub, private pool and several large areas to receive guests or relax and chill out. Just a short walk to the beach, in a quiet high end residential community. Room for 2 more bedrooms to be constructed, which would really maximize usage of the space.